Aheli, of Aheli Wanders, is one of my dearest friends. You should all absolutely check out her blog and follow along as she travels the world and finds all the best meals both local (Brooklyn) and abroad (any and everywhere). Last week she was kind enough to let me wander with her, answering questions about travel and racing, as well as food, books, and dogs – basically all of my favorite things! While I will absolutely have her return the favor over here at some point, in the meantime I thought I would tell one of my favorite stories: How Aheli and I met, and the moment we knew we would be friends. 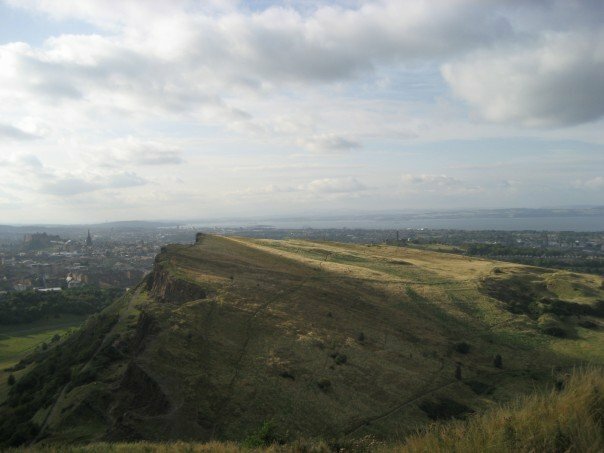 In Fall 2007, I studied abroad in Edinburgh. 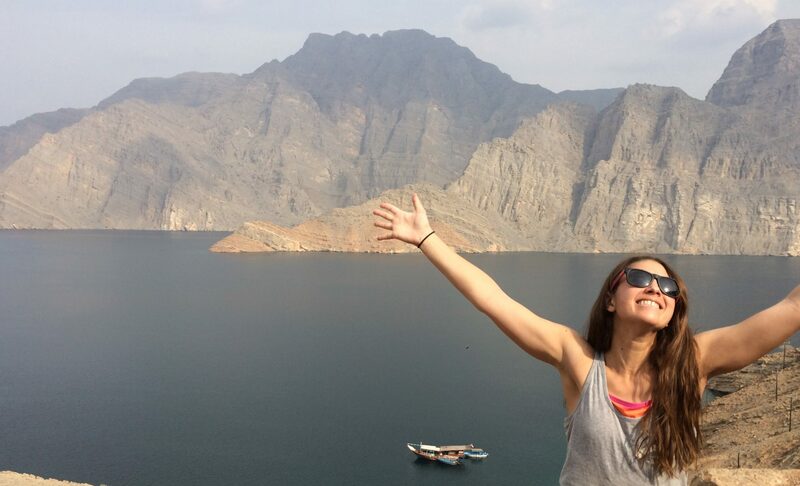 I had been looking forward to study abroad since before I even started college and I couldn’t wait to get off that plane and dive into a totally new experience. My first night, I nonchalantly hung out in the hallway, ready to meet my new flatmates. I managed to find a group of girls, all standing in a circle talking about plans for the night. One of them asked if anyone planned on going to the Fresher’s Week pub night and I listened as everyone in the circle said no. As soon as it was my turn to speak I’m pretty sure I shouted YES, in typical loud, anything but subtle fashion. The only other girl going, the one who had originally asked, was Aheli and I instantly decided that she was going to be my friend. I love telling this story with Aheli, because when you hear our individual internal monologues from the evening it’s even easier to truly understand why we are such a good friend match. Namely, we’re both ridiculous. While there was no way we were ever going to be anything but besties, both of us spent the evening second guessing everything and taking turns, not at all dramatically, thinking that omg this is my one shot at having a friend (…) and she already has an established group. WHAT NOW? 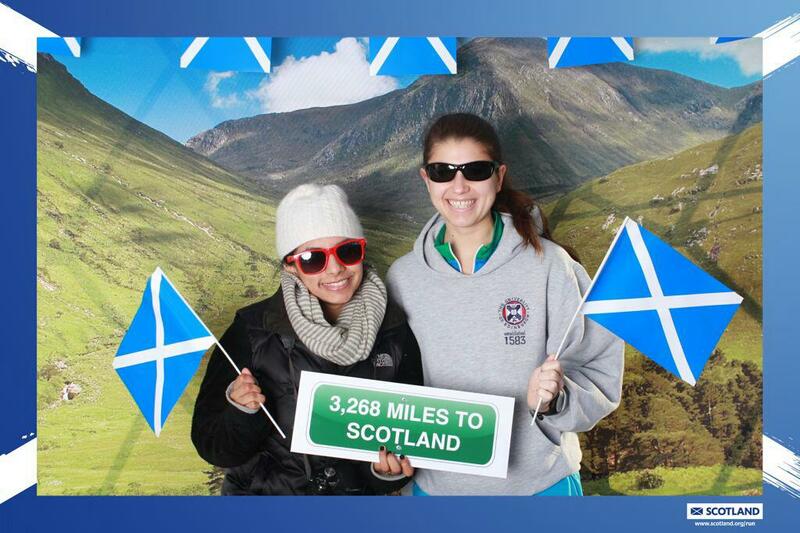 “Established group” being relative – we both knew other people in Edinburgh from our home universities, and we both exerted way too much energy trying to figure out what the other’s friend group dynamic was. It’s not even that having a group is a bad thing! Far from it, in fact! But another thing we discovered that we had in common was that we both wanted our study abroad experiences to be different than everyday life back home. The other students from my home university were great, but they were all people I could see anytime. Similarly, the people Aheli knew were all so kind and lovely – and we are actually all friends now! – but back then, I wanted to make sure I made the most of my four months in Scotland and I didn’t want to stick too close to people or things that were familiar – to me or to my new, definitely-going-to-be-my-best friend. So anyway, we wandered over to the meeting place, in turn walking with other students from my university, other students from her university, a ton of students from our brand NEW university, and talking up a storm, realizing that we have an insane amount in common. Including, apparently, a need to not leave the bar until the party is completely over. Around the time the lights went on and people were making their way towards the door, Aheli and I realized that we had outlasted everyone else, and so the two of us began the trek back to the flat. Except Aheli wasn’t actually staying at the flat. She had one more night booked in a hotel and so assuring me that it was “just over there” (it wasn’t) she wandered off into the night. I was a little skeptical about this, but realized that having just met her it would be creepy to tell her that this is how ripped from the headlines Law and Order episodes are born. When I looked into Aheli’s room that first morning in Scotland. I saw that she had also brought bed sheets with her. THE EXACT SAME FLAMINGO SHEETS. It would be one thing if we had both brought, say, pink sheets. 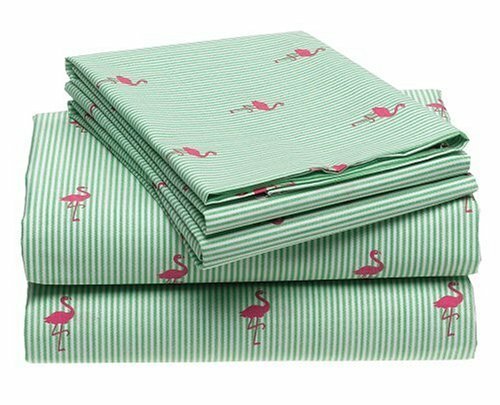 But no – we both packed bedding that was green and white striped, with a pink flamingo overlay. And with that, we confirmed that we were absolutely kindred spirits, and have been friends ever since. All thanks to absurdly wonderful flamingo sheets.